"The jewel in the Welsh Crown". Situated in the south west Pembrokeshire Coast National Park. Surrounded by sea on three sides and on a fourth by a well preserved medieval town wall. On Castle Hill the ruins of Tenby’s 12th Century Castle watch over the much photographed working harbour and pretty, multi coloured pastel Georgian houses. This harbour, along with four award winning golden sandy beaches, plays host to a thriving tourist industry. A good selection of shops, seafood restaurants, pubs with al fresco eating, along with a café culture all help to create a friendly laid back atmosphere. 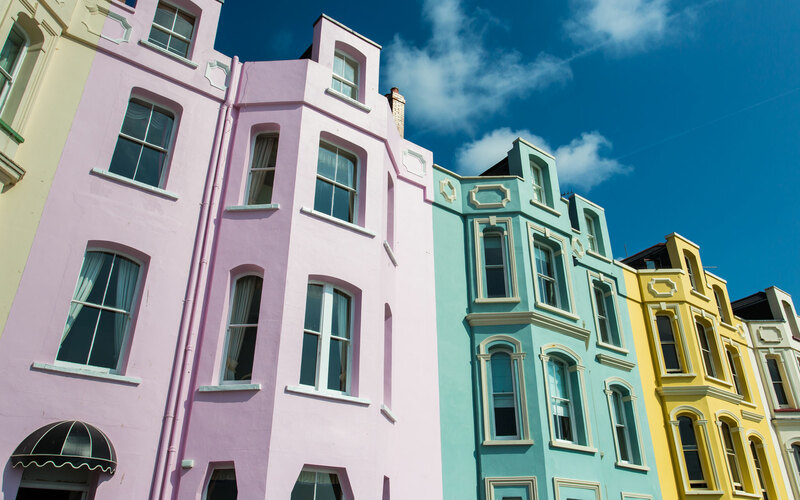 Tenby now hosts impressive Arts, Blues and Fish Festivals, along with the Fireman’s and Winter Carnivals – not forgetting the famous Boxing Day Swim, fishing trips, seal safaris and Caldey Island ferries which depart regularly from the harbour. Caldey Island has an order of Cistercian Monks, famous for their perfumes and chocolate. In addition to the Monastery there is a tea room, shop and post office and, of course, some beautiful beaches. Three miles east along the coast from Tenby lies the pretty fishing village of Saundersfoot. 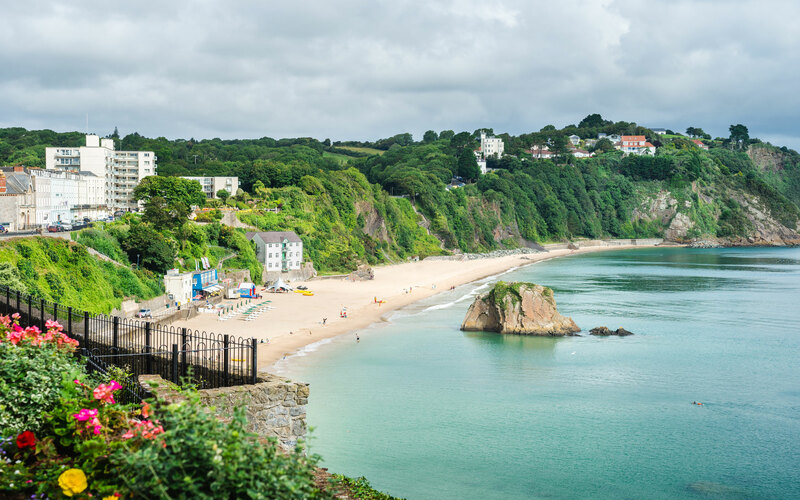 A busy working harbour, safe golden sandy beaches surrounded by wooded valleys combine to make Saundersfoot increasingly popular for locals, retirees and holiday makers, all wishing to find a better quality of life. The village has a pretty 12th Century Norman Church, many restaurants, pubs and a night club. It also has the only five star hotel and spa in the area. Saundersfoot hosts a week long Fish Festival, Christmas Market and the increasingly world famous New Years Day swim. A small seaside village a mile east along the coast from Saundersfoot with a good pub and wonderful walks through Pleasant Valley. Wiseman’s Bridge has proved very popular for locals and holiday homes alike. A lovely quiet village about a mile and a half from Tenby. Penally has a range of property from up market to cosy cottages that are always in demand, very popular with locals. There is a pretty 13th Century Church, shop, pub and hotel. There is also easy access to the Pembrokeshire coastal path. The pretty floral village of St Florence is about four miles from Tenby. Very popular for people seeking the quieter life, the village has a shop and post office and two pubs. In the centre of the village stands the 12th Century Church which is the hub for the floral displays which radiate throughout the village and enable it to win awards year after year. Four miles west from Tenby this pretty seaside village is dominated by the imposing 11th Century Castle. The beach has long been a favourite with surfers and holidaymakers alike. The village also has a lovely 12th Century Church, post office and shop and a pub. Much quieter than Tenby, the village is in strong demand and property does not stay on the market for very long. Kilgetty has an assortment of useful amenities including shops, post office, launderette, pubs, supermarket, pharmacy, veterinary surgery and railway station. The village is very close to the main routes from Tenby and Pembroke Dock to St Clears, Carmarthen and beyond. There is a regular bus service with coach links to London and the Midlands. From Kilgetty footpaths and country lanes allow pleasant walks to Saundersfoot. Carew is a pretty village standing on the western banks of the Cleddau Estuary. Famous for its beautiful 13th Century Norman Castle and Tidal Mill. The village has a good pub which is very popular with the locals and visitors alike. The area is popular with those seeking the quality of country life. Cresselly and Sageston are neighbouring villages popular with locals, first time buyers and retirees.